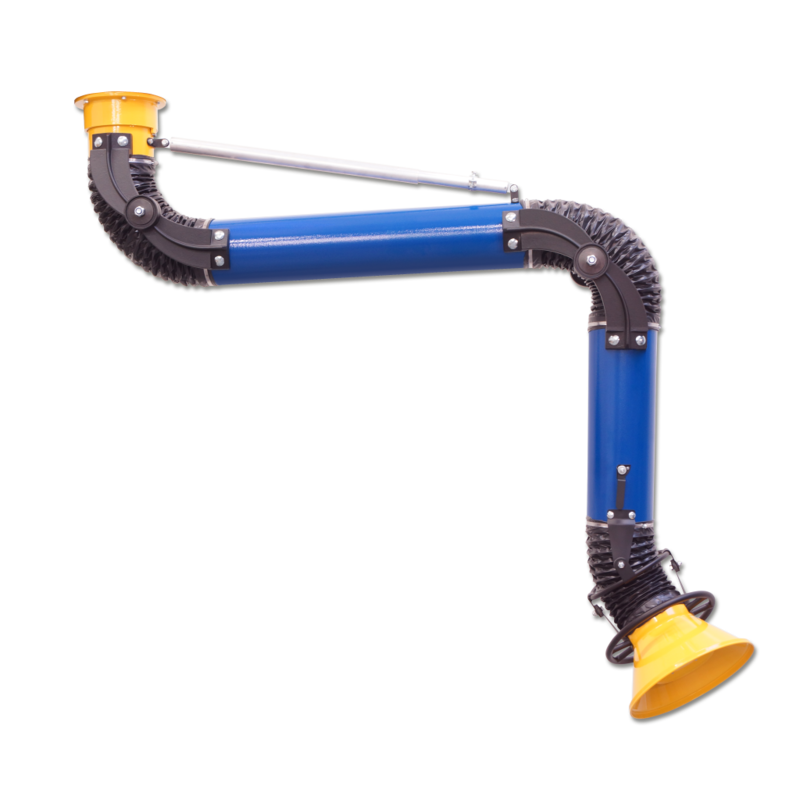 Oskar 160 self-supporting fume extraction arm is one of the most advanced and heavy duty devices used to source capture of welding smoke, grinding or polishing dust, oil mist as well as many other air borne pollutants which can be danger to human health or production environment. 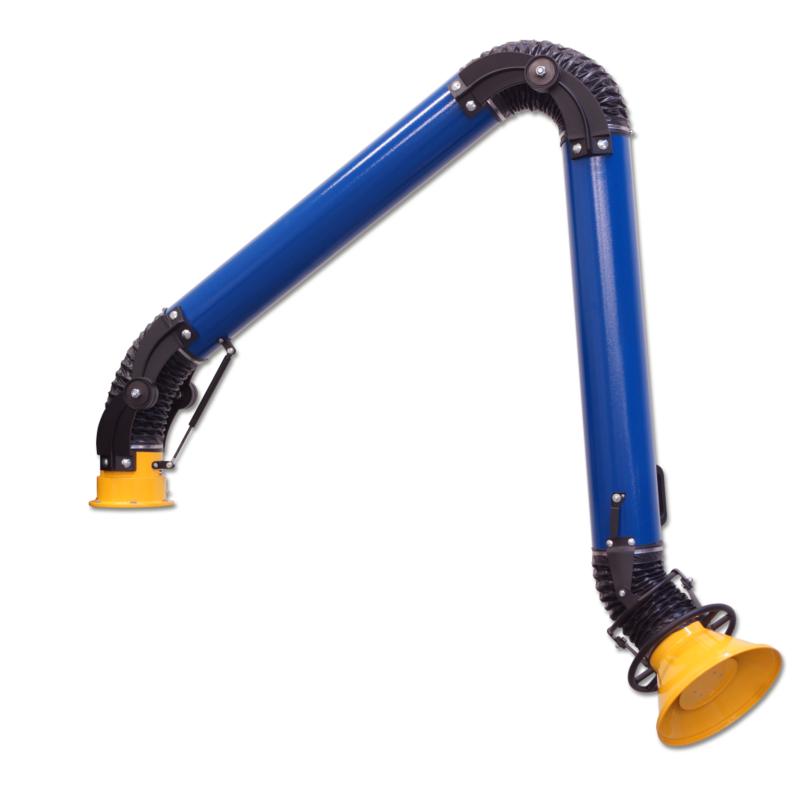 Oskar 160 extraction arm is a unique construction with aluminium die cast parts lowering total weight of the unit. Smooth tube construction and aluminium outside joints allow lowest pressure drop, low noise level, easy maintenance and remarkable long operational life time. There is nothing with-in Oskar extraction arm except for air flow damper. All adjustments are on the outside which means there is no need to stop the exhaust system and there is no contact with polluted air stream nor ducting interior when the arm regulation is needed.